“Can I bid on my competitors brand name?” is one of most common questions we get asked here at Digital Gearbox. There is a deal of controversy surrounding this topic in the world of PPC; indeed, most of it stems from a lot of less seasoned advertisers being under the impression that this form of advertising is illegal. Sneaky it may be, but illegal? Most certainly not. In fact however, it’s a form of advertising that will help new customers discover you when they were initially intending to purchase or enquire elsewhere. This is, of course, competitor bidding. Competitor bidding involves setting up a campaign which contains their branded keywords. 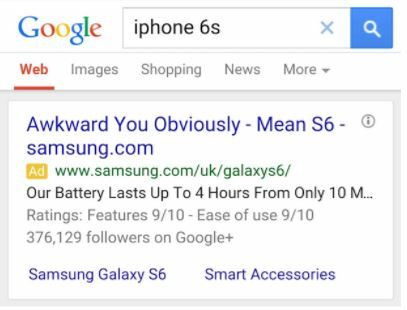 It has been done in some rather zany ways before – when the iPhone 6s was launched, Samsung certainly got people talking with their ad placed on the 6s SERP. Competitor bidding is completely legal provided it is done right. The only catch is you cannot pretend to be your competitors – provided you are selling you, so you cannot put your competitors brand in the ad text and then link to your site instead. Google’s Policy Centre states this would count as misrepresentation and therefore your ad would likely be disapproved. Providing you adhere to this and their other policies, it’s not a problem and this strategy is likely to serve your account well. In fact, it’s a strategy we adopt for many of our clients here at Digital Gearbox and there are some key reasons as to why considering testing this strategy could benefit your PPC performance. First of all, quite simply it gets you in front of those potential customers who are searching for your competitors as a viable alternative. Provided you are bidding enough to be shown high up on the search engine results page (SERP), you will be shown above organic listings i.e. : their own, if they aren’t utilising paid advertising. This gives potential customers the chance to see what you have to offer before they click through to their initial choice’s website – and sometimes just laying out the options for potential customers to see is enough to sway them. There is of course a chance they are bidding on their own brand as well, which means you may have a tough time getting to the top of the SERP, but still, you will likely rank above their organic results. If your budget is limited, in this instance it may be best to pick one or two key competitors to bid on as opposed to bidding on multiple, less relevant ones. Let’s face it though, even despite some advertisers being of the belief that competitive bidding is a no go, chances are your brand is already being bid on by one of your competitors. 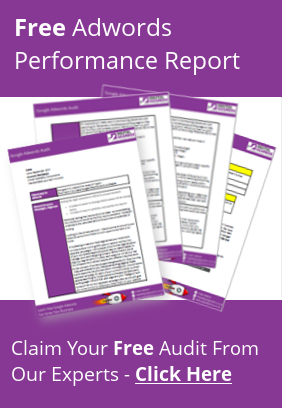 In some instances, competitors will already be wise to this bidding strategy and be utilising this against you. No one wants that. It’s important to keep an eye on what your competition are doing and either way, bidding on their keywords is a smart move to consider. If they aren’t bidding on your terms yet, you have a head start, and if they are, you can bid on theirs in a disruptive manner to get to the top of the SERP. Naturally, because the copy on your landing page and ad copy will not match up to the keyword, the quality score of competitor ads do tend to be lower, meaning that it can cost you a bit in the bidding auction to get a placement. This can however be combatted by being mindful of your budget and sticking to the competitors whose customers you really want to get in front of. If you do a quick search of your brand, you may find you’re already being bid on by your competitors and need to swoop in there to ensure your customers aren’t being snatched away. Another place to look for this in within the auction insights of your brand campaign in campaign manager Provided you’re following best practices and not pretending to be your competitor, this a strategy well worth testing out. Got another burning question about Google Adwords? Please do get in touch and we’ll be more than happy to help answer it!